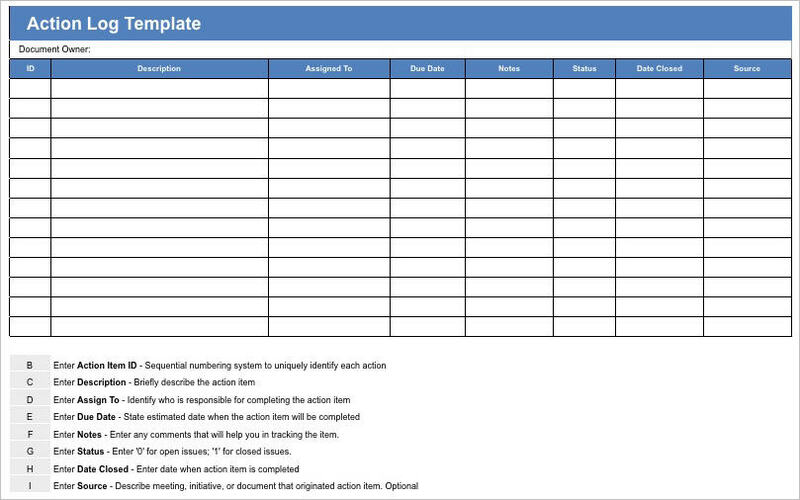 Use this Apple iWork Pages Action Plan template to identify what you want to accomplish, prioritize, and track. 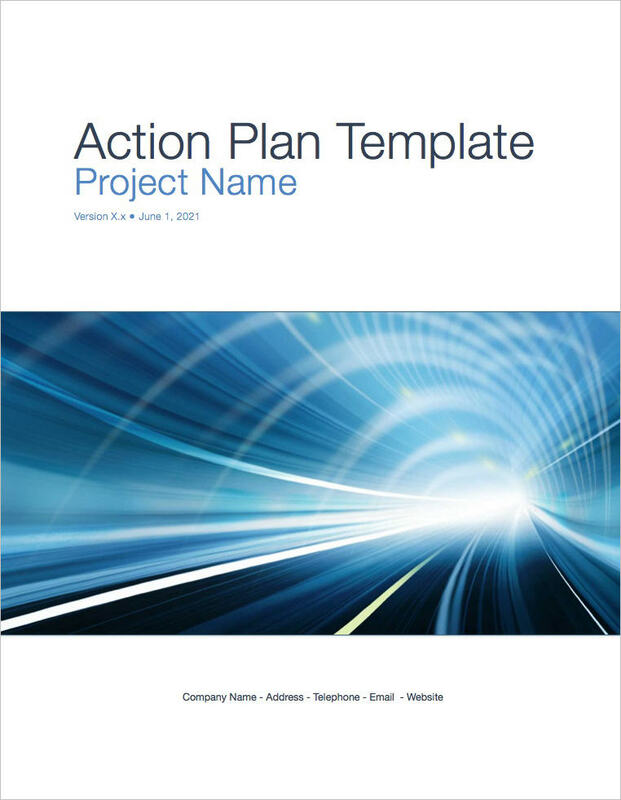 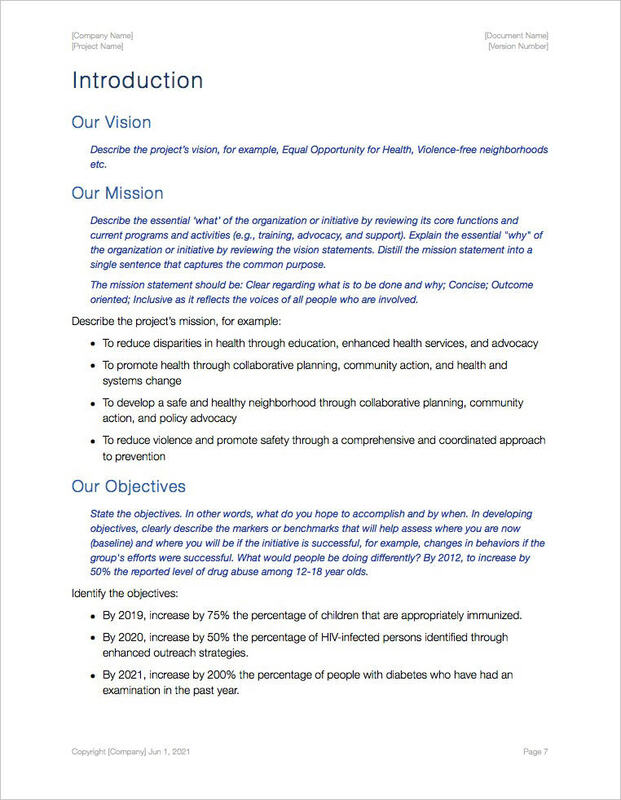 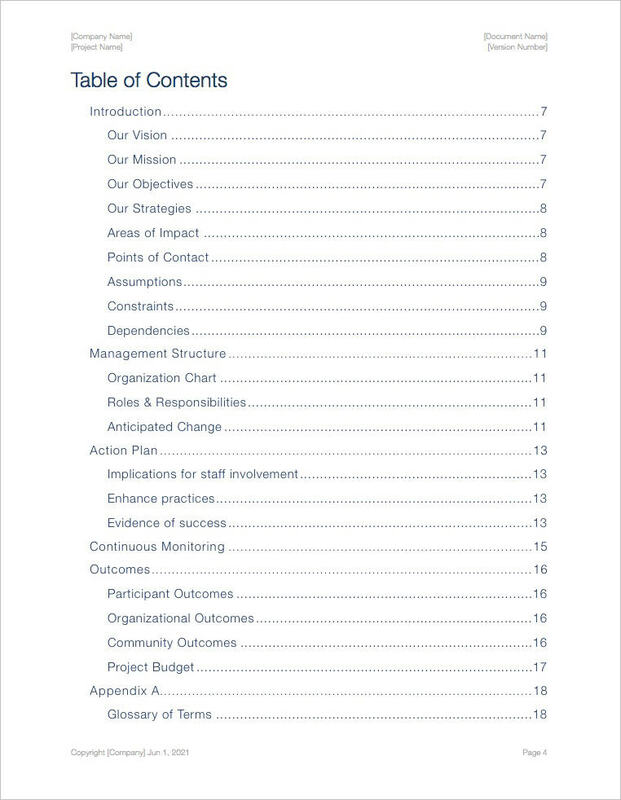 This Action Plan template pack includes a 14 page template and 7 spreadsheets to organize your planning activities. 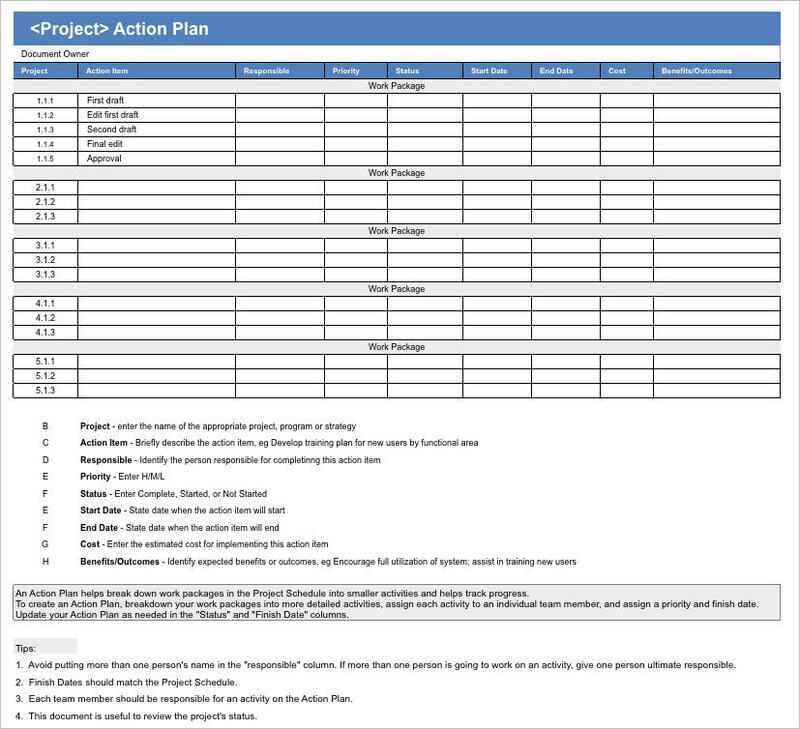 Scope the big picture – Outline what you want to accomplish with objectives, budget, time and tie each deliverable to an action step. 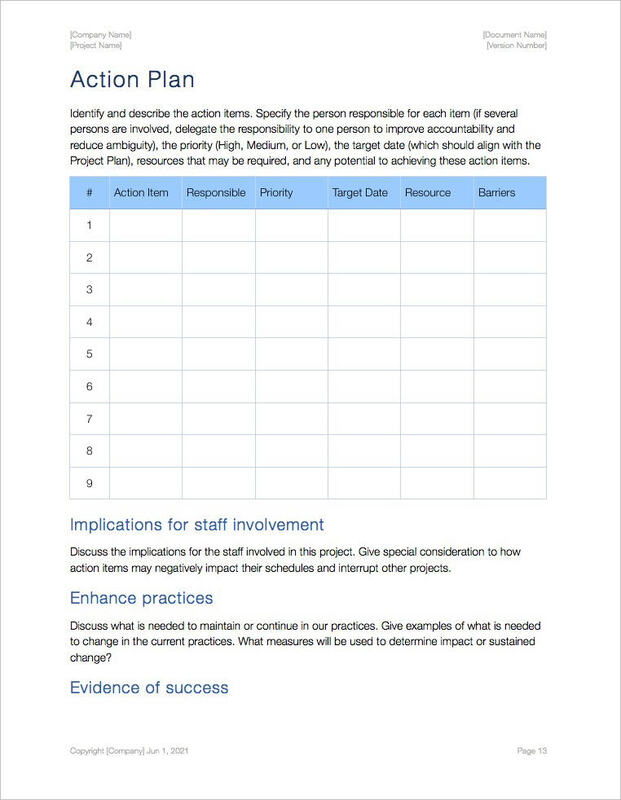 Break out smaller tasks – Assign tasks to team members. 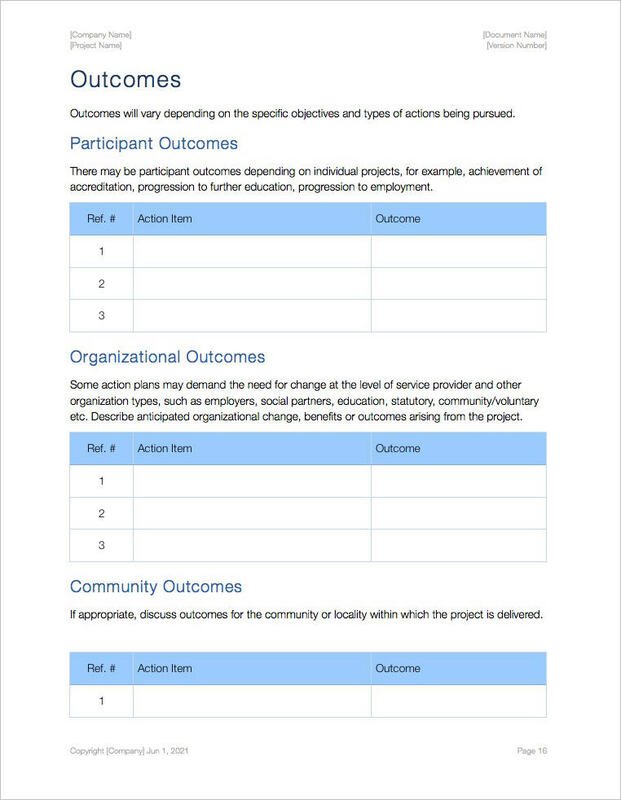 Consider the deadlines in terms of allocating resources. 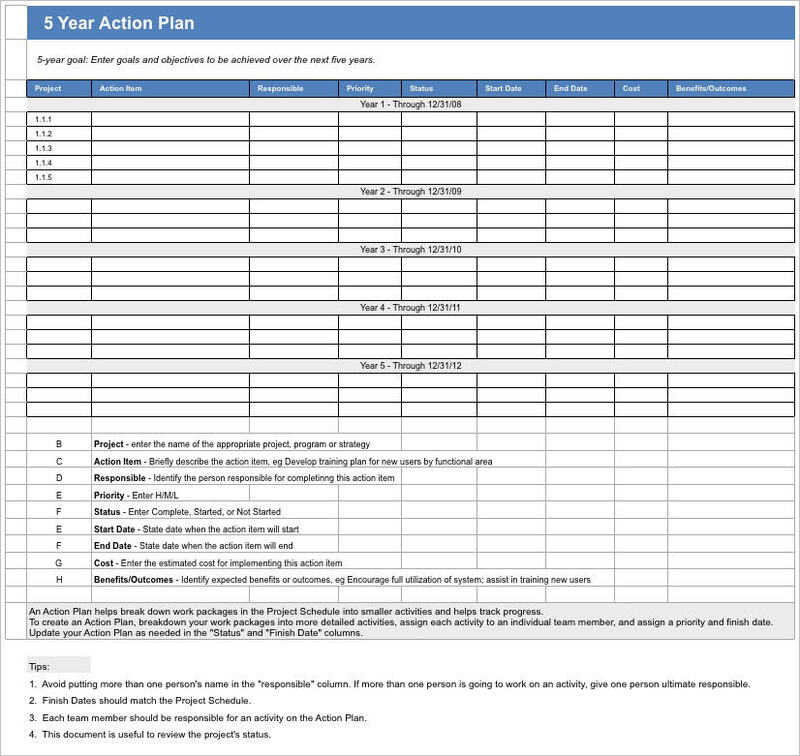 Create a list of action steps – For each task, prepare a list of to-dos ranked in sequential order. 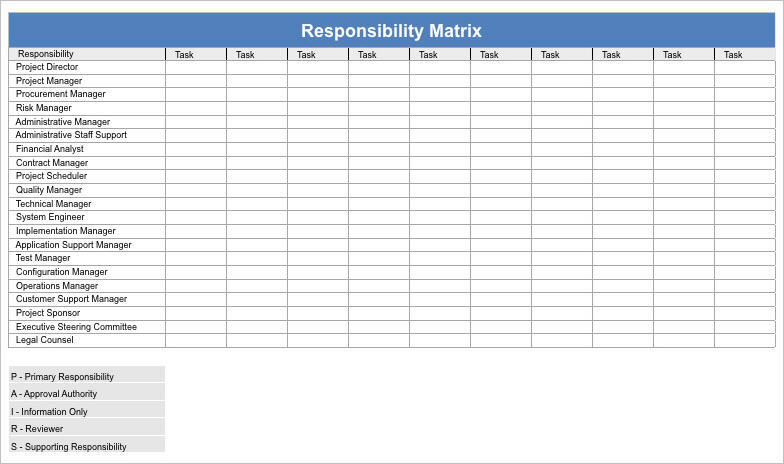 Prioritize – Some steps are more important that others. 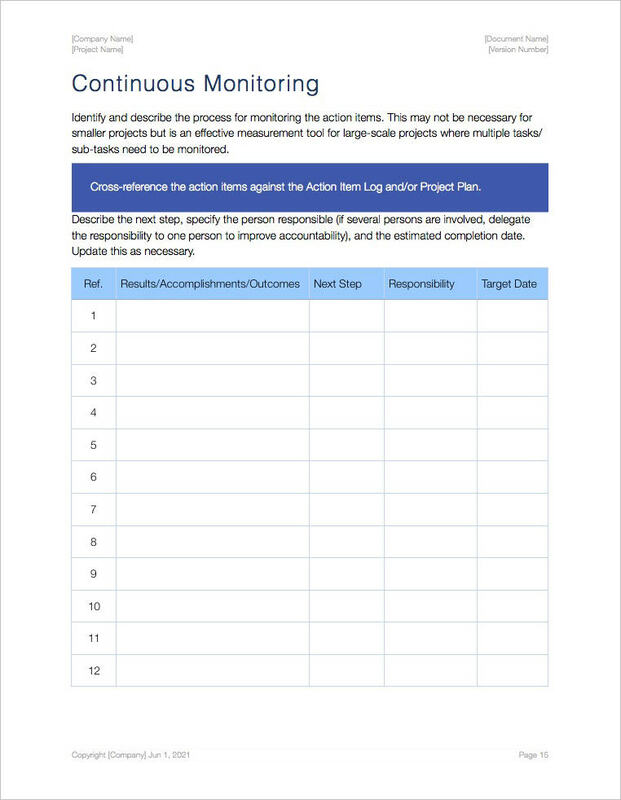 Prioritize steps based on deadline, task, and the number of steps remaining. 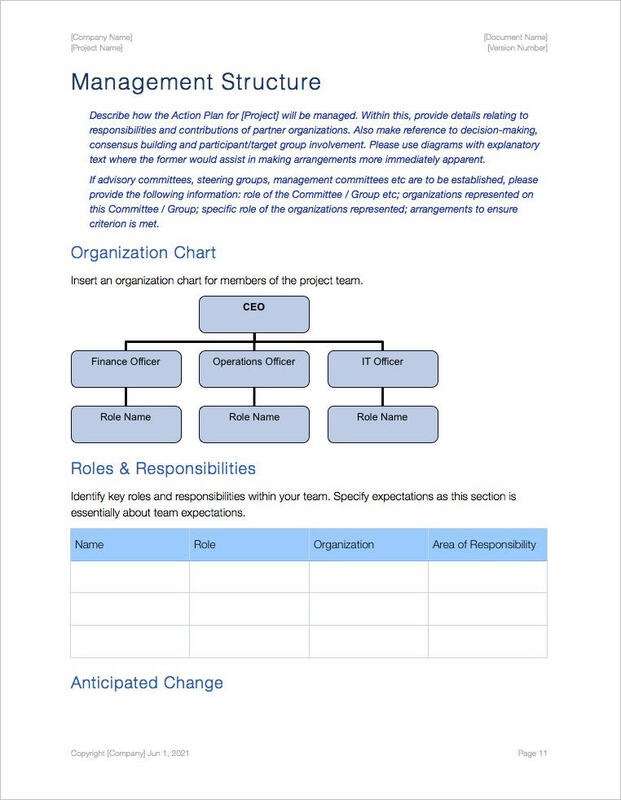 Communicate – Circulate the plan to team members that have been assigned tasks. 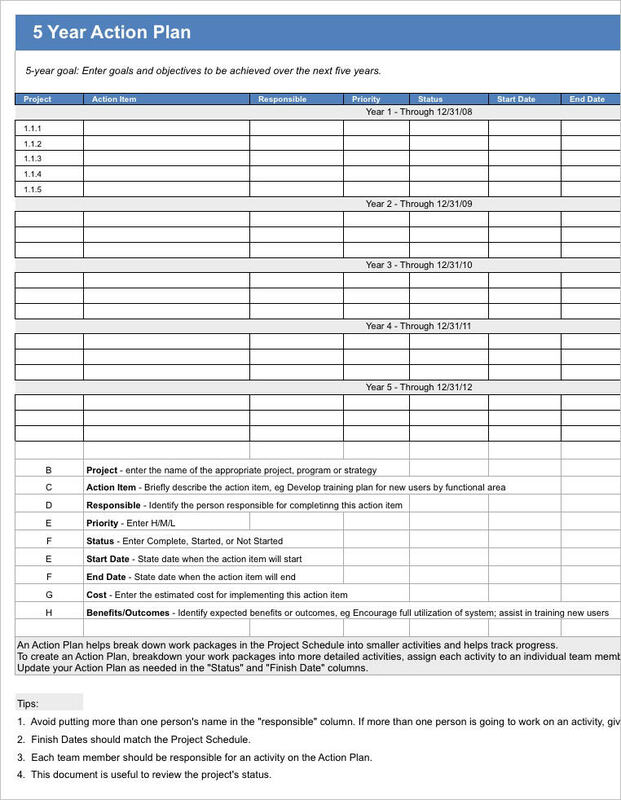 Complete deadlines on time – Estimate when tasks will be finish based on the rate of action step completion. 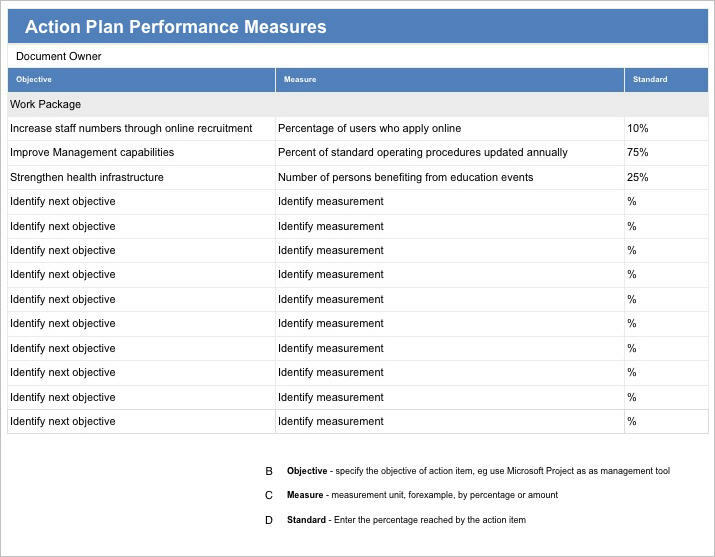 Track results – Evaluate performance and implement continuous monitoring procedures to ensure the project stays on track.